Scientists found some new dust rings including the one near the Sun. The annoyance of dust is not limited to our planet and is found in all parts of space. In fact, the dust has been present ever since the Big Bang. In the past, the universe used to be a more chaotic place with the rapid formation of stars and other bodies. As a result, there was a lot of gas and dust around. These dust particles slowly combined to form the rocky bodies which we call planets. Asteroid collision is another common cause for forming dust. It is a popular belief that the dust started moving towards the center of the galaxy, drawn in by the powerful gravity of the Sun. According to recent scientific papers, researchers found a number of new dust rings in the Milky Way. For instance, there is a dust ring around the Sun (near Mercury’s orbit). Similarly, there is another dust ring around Venus. 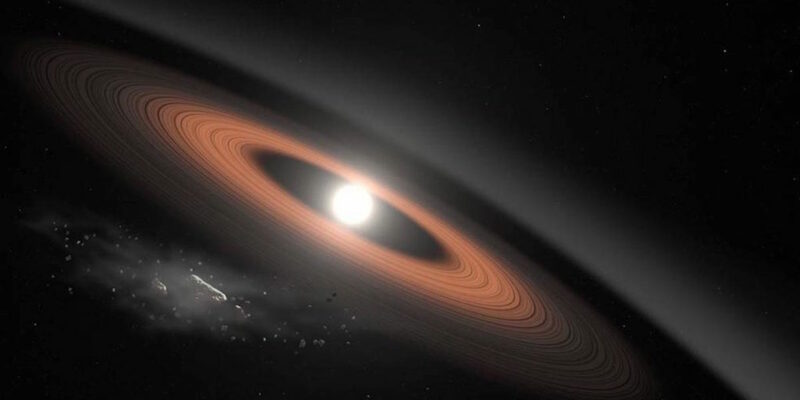 Studies have shown the sources of these dust rings to be asteroids that orbit the planets. Despite these findings, the process of locating the dust is slightly trickier than expected because the space around Sun seems dustier than it actually is when viewed from Earth. For the sake of making better observations, scientists used a new technique that involves separating the light from the Sun and the light reflected off dust particles. Light reflected off the dust particles is about 100 times brighter which makes direct observations rather difficult. The recent images were taken STEREO (Solar Terrestrial Relations Observatory), a NASA mission which uses a pair of identical satellites that were launched in 2006 to orbit the Sun and to observe its light. Both of these satellites are almost always on the opposite sides of the Sun, hence providing a ‘stereo’ image of the star. Guillermo Stenborg, a Scientist at the Naval Research Laboratory in Washington, explained that the discovery of a dust ring around Mercury is incredibly surprising, to say the least. He mentioned that people thought that Mercury, unlike Earth or Venus, is too small and too close to the Sun to capture a dust ring. They expected that the solar wind and magnetic forces from the Sun would blow any excess dust at Mercury’s orbit away. Contrary to that, the latest findings showed that dust rings can form in those parts of space.